Ten years after its establishment, the European Research Council is largely seen as a success story. 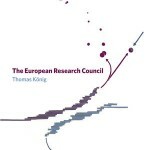 In his new book The European Research Council political scientist and former scientific advisor to the president of the European Research Council Thomas König provides a detailed account of often very complex history on how this success story of the ERC came into being (for excerpts, see here and here). 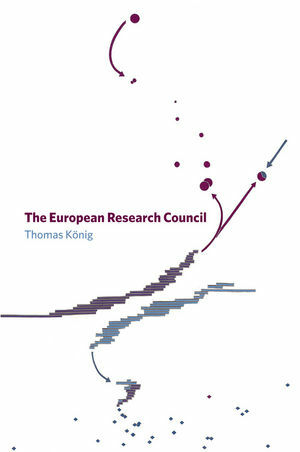 Q1: Why a book on the European Research Council? I have been working at the premises of the ERC for almost four years, and when I first came there, I observed a great amount of tension. Thus far, I had only seen the outside, where the ERC constantly heralded itself as a success story. Eventually, I found out that the ERC Scientific Council – a group of scientists appointed to devise the strategy, basically – and the ERC Executive Agency management had just been going through a difficult phase. And all through my time there (2010-2013), I was exposed to different stories referring to the early days. But the stories often did not match up. So I became curious if I could manage to create the “real” story – you know, a more coherent, convincing story of what happened, of why the ERC was founded and why it has had these difficulties and still managed to thrive. This was one motivation. Then, another was that, after three years, I realized that I was speaking ERC-speech. You know, “excellence only”, and “gold standard”, and so on. I felt indoctrinated. Since my time with the ERC was running out, I thought I could as well embark on a project writing a book on the ERC. I hoped that this would also be intellectually, for me, a good exercise – distancing myself, not in a negative way, but making sense of what I was a part of for a couple of years. And it did! Finally, I must admit, there was also a pragmatic reason: I thought that a book on the ERC, written with insider knowledge but based on a repertoire of social scientific concepts would make an interesting book – and a book that may sell. Q2: You are a political scientist but you have also been a practitioner advising the President of the European Research Council. How easy or difficult is it to combine the roles of social scientist and practitioner? In a way, I have done the same before, even though on much smaller scale. So I am used to it. And I like it. It is very rewarding, for it offers me the opportunity to do things, and to learn things, and then also to thoroughly reflect upon what I have been doing and what I have witnessed. If there is a difficulty, it is that it takes so much time to intellectually process the practical side. With this book, it probably took me two years to get the ERC speech out of my head and to really understand the context within which the ERC was operating. So there is always a phase when I am more practical, and then a time when I am processing. At least, that’s how it was so far, because, obviously, being in two worlds means that there is no real “career” pattern to follow. Q3: The ERC and the European Institute of Innovation and Technology (EIT) were established at the same time. 10 years later the ERC is seen as a big success of EU research policy, while the EIT is facing many challenges. How would you explain very different success of these two institutions? That’s a great question. Actually, there is a deep relationship between the two institutions, and one that I have left largely unexplored in the book. But let’s start with the difference: The ERC was initiated on a broad campaign. It was supported by many scientists. And because of this visibility, it was always perceived as something belonging innately to the scientific community, whatever that may be. While the EIT, I think it is safe to say, it was born out of the idea of one man, Commission President Barroso. So the collective leap of faith was a huge benefit for the ERC, while the EIT was observed very warily by most scientists. When we look at the actual establishment of the two institutions – you know, it took place around the same time, in 2005 to 2007 – there is already a first and unexpected connection between the two. The EIT was established as an independent structure, based on article 171 in the Amsterdam Treaty. The ERC, on the other hand, was firmly kept under the wings of the European Commission. It is worth noting the irony of this. Because the ERC advocates had always preferred for the ERC to be institutionally independent, and they thought – well, the majority of them thought, that this could only be achieved through article 171. So they opposed very much the plan by the Commission to establish the ERC as an Executive Agency. In a way, they were right, because the ERC was – and still is – bound by sometimes awkward regulations prescribed by the Framework Programme legislation. So an independent institution would have offered more freedom in setting up the ERC’s programme. Yet, as it turned out institutional independence was not a good solution, because the EIT was exposed to all kinds of political meddling from member states, and I believe it received only lukewarm backing from the Commission. I personally remember that there was often talk about the EIT leadership being exchanged regularly, and that there were all sorts of “scandals” because the management of the EIT was not aware of the strict EU financial regulations. The ERC leadership, and by this I mean, the Scientific Council, was often frustrated by the Commission observing those regulations, but in a way, this saved them from similar experiences as the EIT leadership went through. Without having explored this further, I would expect that the fact that the EIT leadership did not have the same kind of guidance as the ERC had from Commission personnel was a reason why it had such a rocky start. For the ERC Scientific Council and all ERC advocates, the bitter lesson of the EIT example was that, despite the downsides of the Executive Agency model, it was still better than what the EIT had to go through. Q4: You write in the book that the ERC has been modelled after the US National Science Foundation. Why the NSF – rather than German Research Foundation DFG or UK research councils – was chosen as a suitable model for the ERC? Actually, the ERC advocates wished very much for an implementation of the ERC similar to the NSF. As I indicated before, it turned out to be quite different – not institutionally independent, but under the protective albeit firm wings of the European Commission. But if your question is, why did the advocates not prefer a different template, I think the answer is twofold. One is based on a very pragmatic calculation by the advocates: they did not want to create discord among themselves. If you have high-minded people from Germany, UK, France coming together, they obviously did not want to start a discussion which of their respective way of funding academic research is better or worse. So they took a template from outside. Also, I suspect that many early advocates were actually critical of their national systems as well. One thing that was certainly lacking in the German DFG, for example, was commitment to international expertise. So for some advocates, at least, an ERC was also an attractive option to foster reform on various existing national funding systems. The NSF in many respects could be called the first public funding agency in the world – even though, historically, there would be contesters. So it was easy to settle on this template and not bring disturbance within their own campaign. The other reason is a political calculation: a core message of the ERC campaign message was that Europe is doing worse in innovation than the US because it lacks the same strong, potent, independent funding agency. It is only logical then to call for a similar organization on European soil. But, as I said, the ERC is quite the opposite to an institutionally independent, stand-alone funding agency. For me, the interesting question, then, was: how did the ERC still manage to be considered a sound success? Q5: In your book you mention that during negotiations preceding the establishment of the ERC ‘policy-makers and representatives of the scientific community hoped to use the ERC for reform of their domestic research policies’ (p. 52). How far this expectation has been fulfilled? Can you mention any examples of the ERC facilitating domestic reforms? This is very difficult to answer, since the entire field is under enormous pressure by many stakeholders to reform – almost constantly, I would say. What we see is that, rhetorically at least, national champions refer to the ERC as a template. And that there are several national funding agencies supposedly designed after the ERC – which is certainly not true for their institutional setup, but probably for their funding schemes and their decision-making procedure. I think at the end of the day, the ERC is less of a template that nationals would want to copy, but rather a European-wide platform to reward the most promising researchers in their fields with substantial funding and accolades that, very often, can also be transferred into boosting careers. Many of the countries with a research-intensive science base actually use simple statistics – that is, the amount of ERC grants awarded to their research institutions – to measure how well they fare. I think providing this simple yet effective measure is what makes the ERC relevant for research policy in most countries. Q6: After the Brexit some national officials have suggested that the ERC should become an intergovernmental organization like the CERN or the European Molecular Biology Laboratory (for a news item, see here). In the book you briefly mention that already during the pre-history of the ERC such a scenario to establish an ERC as a multi-national effort was doomed (p. 134). Might it be seriously reconsidered after the Brexit? There is a lot of wild-guessing about the ERC’s organisational structure, and whether it is positive, or dragging the ERC down, or the only realistic approach. Also, I do not want to repeat here what others have been thinking on this. Let’s do a thought experiment instead. The core question is, what would it need really to change the organisational structure of the ERC. This is primarily a political question. And I think three ingredients would be required. First, it would require a trigger. I do not think that something like the United Kingdom leaving the EU would be enough for the ERC to make it into another organizational mode. Quite the contrary. It is perfectly reasonable to assume that, even after the United Kingdom has left the European Union, the country will have some kind of special contract that allows for participating in the overall research funding programme, the Framework Programme – like Switzerland, Turkey, Israel, Norway, Iceland, and 11 other countries already do. What could be a trigger event? Something where the reputation of the ERC would be substantially shattered. There was a time in the history of the ERC – in late 2008 – when this was almost the case. And the reason was that the compromise on which the ERC compound is based upon today was not yet found. So let’s assume that the credibility of the ERC would be seriously hampered because of something going wrong inside the compound. I do not think that those involved will ever let things grow so badly again. But it could happen. But even then, the European Commission would be very reluctant to let the ERC go. It fits perfectly into the overall structure of the Framework Programme. It gains so much from it. Why should they let it go? They would certainly try amend the structure within their own reach. So you would need a second ingredient: a very determined European Council. The European Parliament simply does not have the power to get this done. Only the Council could really force the Commission to let go of the ERC. But is it likely, in the face of a European integration project that is scrambling with all sorts of economic and political fall-outs, that time and energy will be spent on such an issue? In other words: is it likely that twenty-plus heads of government come together in order to discuss and find a common ground and, against the opposition of the Commission, eventually decide to establish this funding body in a different way? Think of all the negotiations that have to be done. Probably, one country has to take the lead. It has to dedicate serious resources for lobbying other countries, for carving out the legal provisions, and, most difficult, to ensure that the ERC will maintain its funding level, to say the least. That is not to speak of the intricacies of transferring the current ERC into a new institutional template. And now think of all the obstacles on the way. Why should the Bulgarian head of government agree to do it? Why the Italian? Why the Greek? All they gain from the ERC now is a constant reminder that their respective academic culture is “underperforming” – that’s the nice word for, that academic institutions in these countries do not reap in enough ERC grants. For now, this is merely a symbolic issue, not a monetary one, because, in the overall picture, these countries receive additional funding through other EU sources; most significantly, the structural funds. But once to disentangle the ERC from this complex web of funding, you make the symbolic problem a real one. For the head of state of, say, Bulgaria, the performance of his country is an embarrassment. Either you buy his consent with other promises, or you offer him a certain share of ERC grants. I do not have to tell you what the latter would mean. If you have these two ingredients, it is still unresolved how to set up the new ERC. As I said before, the institutional setup of the ERC has been an issue almost from the very beginning. Theoretically, there would be several other options. One alternative would be to re-found it as an intergovernmental organization. Or it could be set up along the same institutional framework that has been used for the EIT. As I said before, the latter has been explored and I think it is clear that it is not a good option. All this indicates, to me at least, if you really want to make the ERC a solid, independent institution, if you want to disentangle it from the Commission, you will at least have to make sure that the ERC is not going to have the same problems that the EIT has witnessed. I am not a jurist, but I think that this will probably require to amend the Treaty. So I think the odds for the ERC becoming an independent institution are not very high. Much more likely, in my opinion, is to push for the ERC to be made further autonomous under the Framework Programme, that is, to keep it under the Commission wings but to free it from most of the regulatory procedures that the Commission has set in place. Still, the very history of the ERC tells us that one should expect the unexpected. For no one really expected the ERC to become a reality, and yet, here it is. But I think two things are safe to say: Brexit will not be the trigger, and the initiative to make the ERC an independent institution will not be taken before the current Framework Programme, Horizon 2020, will end. Q7: What are the main lessons from your book for policy-makers? Q8: In your book you explain in a great detail the history of the ERC. How do you see the future of the ERC? I think the ERC is in a comfortable, yet difficult position. It is well-respected and has found its niche. It is really a great instrument. But it has this heritage of being the alternative to the often-criticized Framework Programme; instead, it has become the Framework Programme’s posterchild. This was not necessarily what its early advocates had hoped for. But more importantly, because it is a niche programme and because it is a posterchild, it has little room to invent new funding streams. Today it seems determined to fund only individual researchers. I am glad that the ERC Scientific Council recently decided to re-establish the Synergy Grant. This is a step aside from the general expectations. It could also be a step to make the ERC’s funding portfolio more diverse and exciting. Dr. Thomas König is senior researcher and strategic adviser at the Institute for Advanced Studies, Vienna (IHS), and is a member of the ECPR Standing Group Politics of Higher Education, Research, and Innovation. Higher education institutions under EU law constraints? This entry was posted in Current Affairs, Politics & Public Policy, Publications & Events, Science & Technology, The EU and tagged European Research Council, Framework Programme, Horizon 2020, Research funding, research policy, universities. Bookmark the permalink. Previous: Higher education institutions under EU law constraints?